Introducing Kensy and Max – an action-packed spy-adventure series for girls and boys from bestselling author Jacqueline Harvey! What would you do if you woke up in a strange place? If your whole life changed in the blink of an eye and you had no idea what was going on? 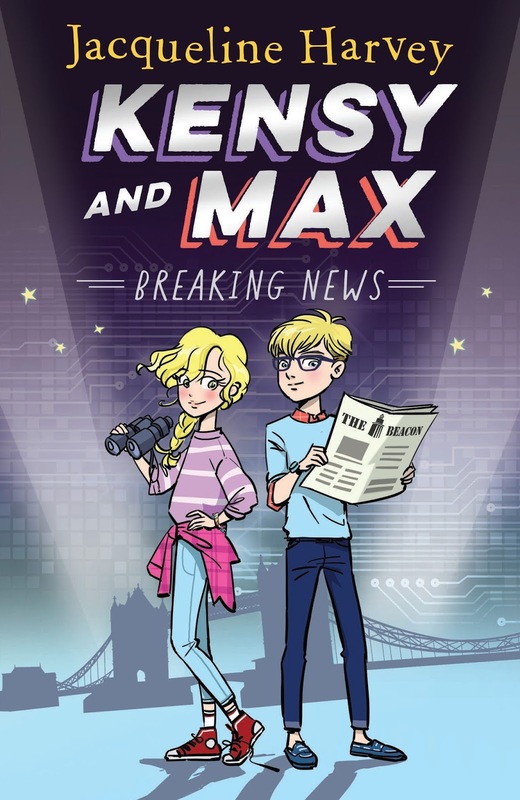 Twins Kensy and Max Grey’s lives are turned upside down when they are whisked off to London, and discover their parents are missing. As the situation unfolds, so many things don’t add up: their strange new school, the bizarre grannies on their street, the coded messages they keep finding and the feeling that, all around them, adults are keeping secrets . . . Things can never go back to the way they were, but the twins are determined to uncover the truth! I was super excited to read the first in a new series by the super talented Jacqueline Harvey. One of the things I loved about this book, as with so many of Jacqueline's books, is that they are so well researched. All of the street names and most of the places mentioned in the book are real, so you can follow where the twins are going on real map of London, or for a more realistic experience look at this area on Google maps or Google Earth. You can find The Morpeth Arms on Google Maps (58 Millbank, Westminster, London SW1P 4RW, UK ) and see how close they really are to the MI6 headquarters across the river. Being the nerd that I am, I actually did this, and I loved seeing exactly where the story was set, I think kids will love this too. Apart from all of the above, the story was great too. Lots of shady characters, figuring out who the good guys are, who the bad guys are and a revelation at the end of the book that makes you want the get your hands on the next book as soon as possible!